Do you hate your house? Read this and learn to love it. Happy New Years!!!! We are almost finished with the 1st week of 2019. Do you have any New Years resolutions? My resolution is to keep my house cleaner. On New Years eve we had a party. Let me tell you, nothing motivates you more to clean your house than hosting a party. Hmmmm there is another resolution (host more parties) see where I’m going with that? Let me start by saying my resolution didn’t start on New Years eve. It actually happened a couple of months ago when I decided to clean out my closet. I filled up three 33 gallon trash bags of clothes, shoes and purses! I took them to Goodwill and never looked back. That’s where it all started. I came up with a list of things you can do to love your home again. Your home should be your sanctuary. A place of peace. I love maximalist design, I don’t love clutter and disorganization. This is the 1st step to loving your home again. In my opinion it will take the most discipline and work. But it will also be very rewarding. Nothing feels better than opening your closet without having to dodge falling items. Have you ever had to pull several things out your closet just to find the wrapping paper that was buried all the way in the back? Been there. After I tackled my closet I was motivated to move on to other areas of my house. Confession if you were to come over right now and have a look see in all my cabinets and out in my storage area it wouldn’t all be tidy. Decluttering and organizing is a process usually not to be done in one day. Don’t feel defeated if life happens and you have to abandon your mission. Trust me it will be there when you’re ready to start again. How do you eat an elephant? One bite at a time. Start with your pantry. Do you have outdated can goods or stale bags of chips? Toss em. Take every thing off the shelves, give them a good wipe down. Put some shelf liner of contact paper down if needed. Kitchen and pantry organizer containers are easily accessible for every budget. You can find cute containers at the Dollar Store to Bed Bath and Beyond. Baskets are another way to keep your things neat and tidy. I recently found some really cute ones at Big Lots. I used them to store linens and surplus toiletries above my washer and dryer. Now that your space is all organized and uncluttered. You can start to look around and see where you want to make changes. 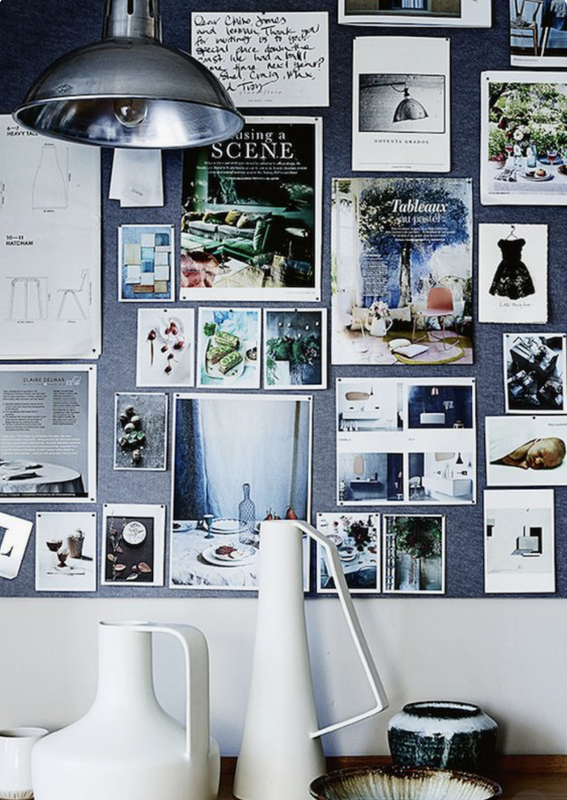 Start with a mood board. Either on Pinterest or using magazine cutouts tacked on to a cork board. I actually have both. I get inspired by seeing my home decor goals daily. It reminds me of projects I want to do and helps me visualize them. It’s impossible. There will always be someone that has more than you do, that’s more successful than you. Guess what? It’s ok! You know why? Because their journey is theirs, not yours to compare your own journey to it. I have said it before and I will say it again, Your home is to be an expression of you. Being inspired by someone else’s home is fine. But don’t be jealous or compare. I’m inspired all the time by fellow instagrammers and Pinterest pinners. I take that inspiration and put my own twist on it. I add my personality. I told you decluttering and organizing would be the hardest, looking for the blessings is the most important!!! Take a minute to walk around your house with a different perspective. Maybe one you haven’t had in a long time. What do you see? Is there a beautiful tree outside your kitchen window? The blessing, you can watch birds while you do the dishes. In your bathroom you may see everything that needs to be updated. Do you have a double sink vanity? The blessing, you don’t have to wait on your husband to finish shaving and brushing his teeth before you can start getting ready or visa versa. Count your blessings. Even the small things. Things we often take for granted. Life has a way of bringing us bigger blessings when we are able to appreciate the small ones. When you are able to be content and grateful for what you have something changes on the inside. Your attitude. When you focus on what you don’t have and don’t like that’s what you are going to attract. The negative feelings toward your home stick around. Turn that frown upside down. Open those blinds let the sun shine in and soak up some vitamin D. While your basking in the sunlight whisper a thank you. Ok you decluttered and organized. You have a dream board for inspiration. You realize keeping up with the joneses is futile. You have found the blessings in your home. Now it’s time to sit down and crunch numbers. To see exactly what changes you want to make to your home that truly expresses who are. What’s your budget look like? Today and long term. Today it may only be to buy some baskets for organizing. It may allow for a can of paint. Are you wanting to make larger changes that aren’t in your budget today? Thats where your dream board comes in handy. It will help you visualize your long term goals. Go ahead and get a bid from a contractor most will do that at no cost to you. This will give you an idea of what your budget will be and how much you need to put in your piggy bank each paycheck. If you find yourself overwhelmed and not sure where to start, let me help you. I offer E-design and interior design services. There is an option for every budget! Just go to the menu section this site to read all about the ways I can help you. In the meantime love your home as if it were your dream home. Count your blessings. And Remember how do you eat an elephant?………..